Here are some of the many reviews we have received over the years from both homeowners, contractors and people just like you who were looking for a dust free flooring removal service and were extremely happy. The video above was partially filmed by us but mostly filmed by the homeowner. We had to remove over 3,000 square feet of porcelain wood look tile in a home she just bought. We were in and out in less than three full days, her home was left cleaner when we were done. That’s the power of using a company like Arizona Home Floors with 11 years experience in dust free tile and flooring removal. Please watch the video below for our 2,000th Dust Free Tile Removal Customer! I used this dust free tile removal contractor to remove existing tile so we could install the new tile. Not only was I impressed, but the tile installer laying the new tile was impressed with the job Arizona Home Floors did in removing the old tile and prepping the floor for the new tile. Thank you, Jack and Maryanne. Hello David, Thank you so much for proving the wonderful feedback regarding your Maricopa tile removal project! Maryanne and the crew are amazing, we really appreciate everything they do for us. I’m also equally glad your installer was impressed as we probably made his job a bit easier. We hope your install went as easy as your removal and wish you the absolute best! Have an amazing day David! Highly recommend Jack and his crew! Timely and very efficient— everything they claim to be. Worth every penny!!! Hi Linda, Thank you so much for allowing us to help with your remodeling project to remove tile at your home in Scottsdale. Your new master bath should look stunning when it is complete! I am very pleased with Maryanne and the crew. They are very professional and did an excellent job. Hello Tuy, Thanks so much for your review. It was a pleasure working on your 757 square feet Chandler tile removal project. Maryanne was pleased to have met you and I’m so happy that you had a great experience with Arizona Home Floors. Good luck with the rest of your new floor installation, have a wonderful weekend! I just finished using Arizona Home Floors to remove my ceramic tile. The crew showed up on time, finished earlier than scheduled and did a fantastic job. It truly is a dust free tile removal system, and I could not be more pleased. Highly recommend them. Thanks, Kristie for your feedback! MaryAnne and the crew were delighted to please you and provide a great dust free tile removal experience. Good luck with the balance of your remodel project. If you’re doing any home renovations and are going to be removing tiles call AZ Home Floors, their work came out clean and there’s no exaggeration to the “dustless” claim. Fair warning, you can hear the equipment they use. They were on time, professional, and easy to deal with. I had Arizona Home Floors demo over 1,100 sq. ft. of tile removal in my home. They did an absolutely incredible job. There was not one speck of dust anywhere in the house. I was truly amazed. They cleaned up afterward and left my house spotless. Their crew was very professional, I couldn’t believe the job they did. I would not hesitate one bit to recommend them and certainly would use them again. The office staff was also very helpful. They made me feel like I was their only customer. Hi Mike, Thank you for taking time from your day to leave such nice feedback. We enjoyed doing your project and are glad we got to know both you and your wife Linda during that time. Ikinagagalak kong makilala kayo Mike at Linda 🙂 As your remodel progresses, I know your cabinets and floors will turn out fabulous! Amazing is the only thing to say. 450 square feet of tile up and out ground to the foundation. Perfectly clean in 3 hours. 1 0 stars to the crew that was here. This is not the least expensive way to go but well worth it if you want your tile removed quickly, efficiently and CLEAN!!! Hello Barry, Thank you very much for your review of the work that we did at your home yesterday in Phoenix. We appreciate that fact that you had your home perfectly prepared for our crew’s arrival which made it easier to get the flooring removed. Thank you also for being home and available so that we were able to call and text you back and forth from our office during your project. As you can imagine, sometimes it’s quite loud during the removal and texting is the best way to communicate. We are very pleased to hear that everything went well yesterday and we hope that your new flooring installation goes as smoothly as the removal went. Have a wonderful day Barry! Jack King and the Staff & Crew of Arizona Home Floors. Just had my tile removed using Dust Free Tile Removal and had the best experience I’ve ever had. We had tile removed about a year and a half ago and have dust covering our whole entire house and it kept settling in all the rooms because the AC was on. Such a different experience with dust free tile removal I could not be happier with the results I highly recommend this company! I also want to mention that they were right on time actually a little early and so respectful of me and my property. Arizona Home Floors Dust-Free Tile Removal: Outstanding Experience After hearing horror stories about mountains of dust created by floor tile removal—and the cleaning costs to remove it–we were pretty skeptical that our floor tile—1600+ square feet of it– could be removed “dustless”. When we called AZ Home Floors Dust-Free, we really grilled them about how accurate their website claims really are. After our experience, we’re amazed and pleased to report their reassurances were, if anything, an understatement. They arrived early on the appointed day, came in like gangbusters, worked with impressive diligence and efficiency, and managed to get everything done in one day that they estimated would require two! To boot, their paperwork and verbal/text communications were equally impressive. It may cost you a bit more to remove tile with this method and leave no dust behind, but when you factor in the cleanup costs you won’t have to pay, and the hassle you avoid, it probably comes out pretty even. Sort of a perfect example of that old proverb, “the cheapest is always the best”, which translates to “if you choose the best service/product, in the long run, it’s usually the cheapest way to go.” We’d recommend AZ Home Floors Dust-Free Tile Removal without reservation. Hello Steve, Thank you so much for your positive review of our company and service. First of all, thanks so much for being prepared for our arrival to your home, and thanks for letting us work a little bit later to get everything done in a single day. It was a pleasure working in your lovely home and removing your old tile, we wish you the very best for your new flooring installation! Again, thanks for your review and for being so flexible with scheduling, have a great day. Arizona Home Floors was extremely helpful in making our tile removal easy, dust free and affordable. We hired them to remove thinset and they left our home dust free just as they stated they would. The crew was very professional and efficient. I would highly recommend this company to anyone who is looking for floor removal in preparation for new floors. Completely satisfied. Hello Lara, Thank you so much for your positive experience with your thinset removal. We have very happy that everything worked out and we were able to get your project completed to your satisfaction. It means a lot to us to know that you were so pleased with the results and we hope that the rest of your remodeling goes as well as your thinset removal was. Have a wonderful day Lara, thank you once again. We used Arizona Home Floors to remove about 1,000 square feet of porcelain tile in August 2017. Maryann and her crew did an amazing job! She was on time, professional and so well organized. She had all the tile up in about two hours and the house was cleaned up and back in order by 2 pm. Just extraordinary! Highly recommend. Hello Lisa, Thanks so much for your positive feedback. You had your home all ready for our arrival and we really appreciate that you took great care in preparing for us. We really like how quickly and dust free Maryanne and the whole crew were able to complete your Scottsdale tile removal project! You have a beautiful home, and we are so happy that we were able to finish your job much sooner than expected as we originally thought we would finish around 4:30 PM. If you ever have a future project, please let us know and we will be happy to give you the same service as before. Have a wonderful weekend Lisa! In a word, excellent. It really was dustless, they showed up on time and were wonderful to work with. I hope I never need them again, but if I do there would be no hesitation. They did a great job! Nick was great to work with – he was very responsive and we communicated back and forth via email and text easily. The original estimate he sent me was pretty close to the actual fee and he was very honest and straightforward about any possible additional fees we could run into once they started removing the tile. He was even communicating with the crew while they were here, and then was texting me to see how things were going and had final costs to me before they were gone. Maryanne and the rest of the removal crew were fantastic! They were on time (a bit early to set up their equipment due to the threat of rain) and they were very professional. They finished our 250 sq ft kitchen (saltillo tile) in 3 hours, which was twice as fast as they anticipated. Though it was loud, it was definitely worth it as it truly was a contained mess – they didn’t put any protective covering on the counters and there wasn’t even a speck of dust on them like I expected there might be. We were very impressed with the equipment and cleanliness. We’re a very DIY couple and do most home renovations (cabinets, painting, tiling, etc) ourselves, but this was DEFINITELY worth the money. We certainly could have done this ourselves, but it still would have cost us a lot of money, time, and a HUGE mess in our whole house – SOO worth the money to have it done quickly and neatly. It actually cost less than we expected going into it. DEFINITELY recommend AZ home floors. Arizona home floors just removed all the tile in our house. This is truly a dust free service. There is no dust in the air while the tile is being taken up. No dust in the air when the tile is being picked up and put into Bins. When they were done our concrete slab was smooth and there was no thinset anyway. If you’re considering removing tile in your home I would recommend that you call Arizona Home Floors. Hi Stephanie, Thank you for taking your valuable time to leave us this wonderful review! We hope the installation of your new flooring has been completed and you are enjoying the new look of your home. If anyone is contemplating removing existing tile floors, there is no one else to consider but Arizona Home Floors Dust Free Tile Removal system. It is just incredible how clean, organized, and thorough these guys are. From set-up in protecting your woodwork corners to laying out the vacuum hoses to perfect removal, to post-cleaning is a sight to behold. They even wipe down the flat surfaces in the area including wiping down the cabinet doors inside and out. I would highly recommend Arizona Home Floors if you want no fuss, no mess. Great to do business with! Hi Jerry, Thank you for the wonderful compliments! It is always our goal to leave a home or business cleaner than we found it. We are on the lookout to find pre-existing dust where we can find it, and clean those areas too. Hence our guarantee in writing the premises will be cleaner than when we started the job. The crewmembers are also highly trained and use the patented DustRam® System, the only one of its kind in existence. With 6 patents issued with about 5 more patents pending, there is really nothing else to compare to this equipment. Once again, thank you for appreciating our hard work and noticing our dedication to being the best in the tile removal industry! Hi Chuck! Thank you for the outstanding review of our services. We appreciate your trust and confidence in our ability to deliver dust free tile removal as promised. Good luck with the balance of your remodeling project and thank you for referring us to your contractors and friends. I would like to change the amount of flooring removed to 750′ instead of 1500′. I apologize for my math error. None the less though a great job by AZ Home Floors. Pleasant on the initial phone call. Thoroughly explained the process. Documents easily signed via the internet. Arrived on time. All employees were very professional. The job was completed early and the area was clean when they left. I will use this company on another project in the near future. Thank you for your nice review of our services! We always strive hard to deliver real value for the work we do and our customer service. We look forward to helping you with future projects using the DustRam® System for dust free tile removal. I have no words! I have been stressing over the removal of our old tile floor for over two weeks after we decided on the change. My husband is psychologically affected by the sight of dust. I had heard of dust free removal but didn’t believe it would be true. AZ Home Floors came out after my tile installer had contacted them, and in 2-1/2 hours had finished………DUST FREE! They’re so sincere in their promise, they not only wiped all the surfaces possibly affected 5 different times, they wiped off picture frames and blinds, window sills, and cleaned what little there was so well I can walk across the bare concrete floors from one room to the next without even leaving a footprint!!! I thought I’d be spending the entire afternoon and evening cleaning every corner, instead, I’m here posting. Jack King and his team were also polite, kind, friendly and a breath of fresh air. Thank you, thank you, thank you! Thank you for your detailed and warm review of our services. We are happiest when we deliver everything we promise and then some. I am glad you did not need to spend countless hours cleaning up the mess and dust that a traditional tile removal project would have caused. We hope the rest of your remodeling experience was just as nice. Absolutely outstanding!!! No other way to go. Thank you! We at Arizona Home Floors appreciate your business and are happy to see you were delighted with our dust free tile removal services in your Glendale home. Just had Arizona Home Floors remove about 1000 square feet of tile from our house and the result is awesome! Absolutely dust free as advertised. Everyone associated with this company was professional, friendly and courteous. They finished ahead of schedule and did a final walk through with us when finished. All the old tile and grout was totally removed and what was left was a floor ready for new tile. We loved the process and the results. We would highly recommend Arizona Home Floors to anyone facing tile removal. Hello Steve! We appreciate your glowing feedback concerning our services. We strive hard to have earned the best reputation in the industry for dust free tile removal here in Phoenix and are humbled when a customer such as you take a moment of your valuable time to spread the word about us. All the Certified DustRam® Contractors across the country aid in helping to bring about a new awareness for removing tile in a dustless manner. Your review will help reinforce the credibility surrounding the DustRam® System. Thank you so much and I sincerely hope the rest of your remodeling project goes as planned! Jack quickly came out and gave us an exact measurement and estimate and what the job would cost. I scheduled a date which didn’t work so I had no problem calling and rescheduling they are very accommodating. The date they were scheduled they showed up at the time they were scheduled to start and they got to work right away. They worked hard for 11 hours, got the job done in one day, it truly was dust free. Renee and her demo crew were extraordinary in bidding/executing/completing the job in my home. I was beyond happy with the experience and would recommend Arizona Home Floors! Arizona Home Floors sincerely thanks you for taking the time to submit a review of our company, staff and the dust free tile removal service we are pleased to provide. With our staff and the DustRam system equipment we use, our goal is to remove all types of flooring with no dust, no mess left behind and truly satisfied customers like yourself. Best wishes to you for a successful remodel of your home! Unbelievably accurate of AZ Home Floors claim of “DUST FREE” tile removal. We are going thru a kitchen remodel which required us to remove Travertine tile in our kitchen. We were not looking forward to the process and were warned by our contractor that it would be very dirty and dusty. After 3 days of jackhammering, dirty and dusty was an understatement. It was beyond what we had expected. Our remodel also included us installing Hardwood in our office which also had Travertine that needed to be removed… We found an ad advertising “Dust Free” tile removal… I figured it wouldn’t hurt to have them get us a quote, even if it was 50% of the dust produced in the kitchen, it would be worth the $$ and time should it delay the install. As I mentioned above Unbelievable, 3 hrs. start to finish (unpack truck, set up, Complete the job and pack up the equip.) NO Dust!!! If you are working with a contractor and they are doing the removal I strongly suggest that you call Arizona Home Floors, it is worth the effort and even any delay it may cause you in your project, to call Arizona Home Floors. Thank you for taking the time to submit a review for our company, staff, and the delivery of our promise to perform a truly Dust Free removal. The DustRam System of specialized tile removal tools and powerful vacuums enables our experienced staff to remove all types of tile faster and cleaner so clients do not have to live through a dusty, messy floor removal. We appreciate the opportunity to assist you with your project and wish you the best for a successful remodel of your lovely home! I had porcelain tile and glued wood floors removed and highly recommend Arizona Home Floors. The estimated area matched my own measurements, the technicians arrived on time and the finished project was as smooth, clean and dust free as advertised. The time and effort saved simply by not getting rid of all the debris and having to vacuum and wipe every surface is worth every penny of the cost versus other alternatives. Honesty and accuracy matters and Arizona Home Floors is both. Thank you for reviewing our company! The results you experienced are from our skilled crew, using the DustRam System of specialized tools and equipment for the dustless removal of tile and other flooring materials. It was our pleasure to be able to assist you with your project and we wish you the best for a beautiful remodel of your new home! It was sold to us as the ONLY way to remove Saltillo tile. It is true. We have lived through sheetrock work and the plaster dust that you have throughout a house – seemingly forever. This process is about as dust free as you can get. Well worth the premium over standard removal and you will be surprised that the premium is not that much. Do explore that process for any floor removal. Thank you for your review of our Dust Free service. Saltillo tile removal is very labor intensive and produces more dust than other tiles, almost 1 pound per square foot! Our unique DustRam System equipment of flooring removal tools and high powered vacuums allows us to capture the dust as it is created. We appreciate the opportunity to assist you with your remodel and please feel free to call upon us if we can assist you in the future! It really was as clean as they said it would be. They finished a large area in a day shortening the remodeling time. My husband said you could practically eat off the floors that were so clean and no dust to clean up on our belongings or dust we had to breathe. The workers were very friendly and helpful. We had a piece of tile that was recently broken in our foyer where we wanted to keep the tiling and they gladly fixed it by reshaping it so we could keep our foyer area. Looks great now. Highly recommend this company. We sincerely thank you and your husband for allowing us to assist you with your remodeling project. We do appreciate your taking the time to share your experience in working with our staff and the Dust Free results we are able to produce every time using the DustRam System of floor removal tools. Our best wishes to you on a beautiful remodel of your home! AZ Home Floors is the way to go if you are hesitant about removing your floor tile. Everyone told us we were crazy to take on such a project. We would never get the dust out of our home. Not the case with AZ Home Floors! The tile removal was totally dust free. The prep was easy, the salesperson informative, and the crew efficient, courteous, and clean. We couldn’t have asked for better service. So happy we went with AZ Home Floors. They are the best! Thank you for a job well done! We give them 5 stars! Thank you for sharing your Dust Free Tile Removal experience and for trusting in AZ Home Floors to deliver what we promise. It was our pleasure to help with your remodel using our skilled crew and DustRam System Equipment, the only flooring removal tools that capture dust at the source. We wish you the very best on a successful completion of your remodel and years of enjoying your lovely home! Absolutely FANTASTIC. When they say NO dust they mean it. I was not looking forward to the process of removing old floor tiles, but Arizona Home Floors exceeded their promises. The crew arrived exactly on time. They were friendly, efficient and most of all made this entire experience a great one. It was very interesting to see how they achieve the no dust removal. They finished the job in less time than estimated. Our tile installer was very impressed with what a complete and clean job they did. I would recommend them over and over again. We recently had the tile removed in our house by Arizona Home Floors. They did such a fantastic job – the quote they gave us was accurate, they always showed up on time, and the tile removal was truly dust-free! Also, because of the great work they did, we won’t have to spend as much on floor prep when we have our new flooring installed. I would HIGHLY recommend this company and will definitely use them in the future! Thank you for your honest review and for the opportunity to assist you with a second remodel project! We appreciate your comments on the results produced by our staff and the DustRam System equipment we use to deliver a true dust free flooring removal every time. Please contact us again if we can be of assistance to you in the future. You’ll be pleased with the seemingly magical removal of tiles without the bother of dust cleanup and risks to your health. This is a professional company without the hassle that you can depend on. Rene, the business manager is always helpful in organizing and explaining every step involved in the process. You are in good hands with Arizona Home Floors; it’s a smooth process to deal with them. Thank you for your kind review and for the opportunity to be of assistance to you in your remodel process. We know it can be a stressful and chaotic time and strive to make it a more pleasant experience. Our Staff and amazing DustRam System Equipment are pleased to provide Dust Free Tile Removal when needed. Best wishes on the rest of your remodel project! Best decision I could have made hiring AZ Home Floors. From start to finish they were great. Communication was outstanding along with performance. If you are planning a tile removal job your first call should be to them. Thank you for your review and the opportunity to be of service in your remodel project. We appreciate the positive feedback on our company and your decision to trust us when we promised a truly Dust Free Tile Removal. Please call us again if we can help you! I recently purchased a new home in Goodyear AZ and after moving into the home really hated the tile. I began talking to friends about what they thought of removing the tile and everyone told me that it would be a real mess. I was curious and called Arizona Home Floors and was assured by Rene who manages the company that they would take really good care of me for this job. By the way, I never take the time to write these things. The Arizona Home Floors team arrived right on time and did an amazing job. I am getting ready today to have my new floor installed today. Thank you for your review and for letting us assist you in making your new house your new home! It was our pleasure to provide you with a dust free removal of your tile. Best wishes on a successful remodel! AZ Home Floors removed our tile today. They arrived promptly and worked efficiently. Our home is, as advertised, cleaner than when they arrived. They vacuumed several times and wiped flat surfaces. There was never any dust in the air. We highly recommend this company. Thank you for allowing us to be of service to you with your flooring removal project. We appreciate your recognition of our crew, processes, and the effectiveness of the DustRam System equipment we use to ensure that your home is cleaner when we leave. We wish you the very best on a successful remodel of your lovely home! Just had 1000 sq ft of tile removed and all the dust went with it. Over 6 large containers estimated at 8oo lbs. of fine dust with flour-like consistency. The customer service was exceptional from reception to site completion. Like their advertising claims, “my house may be been cleaner after they leave” and I think it was. If you need tile removed this is the company to go with. Thank you for your review of our company and the Dust Free results we delivered during your tile removal project. Our DustRam System equipment consists of specialized tile removal tools and high-performance vacuums to capture the dust as it is created so it cannot get airborne and contaminate your home. It was our pleasure to be part of your project and we hope your remodel allows you to enjoy your home for many years to come! After looking at their website, my first contact with the company was by phone with Rene, who took time to answer all my questions with detailed descriptions of the process; she was very helpful, polite and knowledgeable, and set up the appointment for an estimate. The Owner and assistant came to measure tile and provide the estimate. Rene called the day before to confirm the crew arrival time of 7 am the following day. The crew arrived on time, coordinated tasks together like a well-oiled machine, worked diligently and carefully, did not hesitate to discuss any issues with me to make sure I was happy with the outcome. The crew remained in contact throughout the day with home office for updates. Their equipment is incredible. They removed 665 square feet of tile with amazing precision and efficiency. I kept walking around the house sweeping my hand over countertops and furniture and there was no dust. At completion the crew showed us 5 very large vacuum containers packed with dust resembling powdered sugar consistency, they estimated about 800 pounds total. They drove away at 3:45 pm. I’m incredibly happy with the results and performance of all their employees, and will not hesitate to use this company again and to recommend them to others. We sincerely thank you for allowing us to be part of your remodel project. We appreciate your taking the time to submit an informative review of our company, staff and the results achieved with the DustRam System Equipment tile removal tools we use. Our staff truly enjoyed being able to deliver you the results we promised to keep your lovely home free of Dust! There was no need for you to clean dust for months to come and can proudly display and enjoy your new flooring. Best wishes on a beautiful remodel of your home! This company is awesome!! From Rene, a very friendly and genuine person who answers the phone gives detailed information as to what to expect from start to finish, to the great guys who remove your tile and clean up after!! Absolutely NO DUST anywhere during and after the tile removal!!! And the finished floor is so smooth ……all ready for your new tile to be installed without uneven spots! Our grandson has a neurological disorder which is bacteria based so I am relieved to know he will not have a reaction from bacteria stirred up and floating around!! So very glad I called Arizona Home Floors! Thank you for your review of our company, staff and the amazing results that can be achieved using our DustRam System Equipment. We appreciated the opportunity to be of service to you with the removal of your tile flooring. Our equipment and processes are design to eliminate dust and other debris from becoming airborne, which can be a serious concern to many individuals with allergies, asthma, and other respiratory or immunological illnesses. Please feel free to contact us again if we can ever be of assistance to you or anyone you know. It was a pleasure to have you as a client! These guys were fast, professional, and committed to working with me. Glad to only have to do this once in 2 decades but if I had to, I would use them again. Thank you for the opportunity to be of service to you with your remodel project. We appreciate your recognition of our desire to make every tile removal project one that delivers what we promise to our customers – great service and a truly Dust Free removal. How do I begin, Arizona Home Floors is one of the most professional companies I have come across in the past ten years. It starts in their front office with Rene, their office manager. I was doing this project long distance and she was so helpful. She explained everything to me (the removal process) and how we could get this done. I forwarded floor plans of what I wanted done and they measured and estimated according to prints. His crew showed up on time, ready to go to work. You can tell the pride his workers took by just how they conducted themselves. It showed in their training and work ethic. Jack King (owner) was there himself. He did little in directing his crew, they knew exactly what to do. After all the dimensions were taken, the crew started doing their thing. It was impressive too watch this custom made machinery perform. They cleared a small 10×10 area in a about 15-20 minutes. Using their very powerful vacuums the atmosphere was like they say, “dust free”. Then came the grinding. I cannot tell you how well it performed. Using step by step procedure, these young men and women performed like a well-oiled machine. The crew interacted with each other to get the task at hand professionally done. This is a testimony to their training and their employer. As An instructor and trainer I can recognize good employees. The quality of the finished product was better than any finished concrete floor I have seen. This will make the next install even easier and easier equates to better. As for as dust free goes I wiped my hands on every wall, there was nothing, the ceiling fans, nothing countertops , nothing. I was told that after grinding and chipping there was over 400 pounds of dust alone removed from the 6 vacuum cleaners he used. Upon examination of the dust it was finer than most pastry flour. Jack and his crew exemplify what it means by the expression “money well spent”. I started this project on my own and realized not only the silica danger, but the time I would have spent cleaning and the debris removal cost. This whole job was definitely cost effective. Jack King shows how good of an employer he is by providing his employees with proper “personal protective equipment” (PPE), ear plugs, knee pads, gloves, etc.! His employees also show how good they are by their work ethic and professionalism, that’s from the front office to the guys and girls doing the final clean up. Like he told me my house would be cleaner than when they got there, he wasn’t lying. I highly recommend this company. We appreciate your thorough review of our company, staff and processes in delivering a truly Dust Free tile removal experience. It was a pleasure to assist you with your project and we strive to make what is typically a hectic and somewhat scary remodel process, into a more pleasant experience for all our clients. The DustRam Equipment is a very unique system of multiple tile removal tools, designed to capture the dust at the source so you do not have to worry about months, or longer, of cleanup. Best wishes for a successful remodel and many years of happiness in your new home!!! I loved my service from Arizona Dust Free Floor I was beyond satisfied and recommend them to anyone who wants a outstanding tile removal They left my house spotless! I was amazed! Thank you for your wonderful review and we appreciate your recognition of our Dust Free results. The combination of our exclusive DustRam System Equipment and our dedicated staff allows us to deliver a Dust Free Tile Removal experience to our valued clients like yourself. Your satisfaction with our results truly matters. Crew was at our house on time. Very pleasant and friendly crew. Very hard workers. Completed job in an extremely timely fashion. Cleaned everything up before they left. All in all a very pleasant experience. Would recommend service to anyone. By Tom & Cheryl H.
Thank you for taking the time to submit a review and for the opportunity to be of service to you in your remodel project. It was our pleasure to make your Tile removal a pleasant experience versus the dusty mess left behind by traditional methods. Our staff and the DustRam Tile Removal Tools consistently perform to exacting Dust Free standards we believe each customer deserves. Very professional, truly did what they said. Not only did they remove the thin set dust free they cleaned up the dust I made removing the tile. Would use again and I highly recommend. Thank you for your review and the opportunity to assist you with your remodel project. We were very happy to help you with the most difficult part of your tile removal – the Thinset – as the DustRam System tools not only remove all the dust but leave your subfloors smoother and better prepared for your new flooring installation. My wife and I hired AZ Home Floor (AZHF) to remove the tile, carpeting, and grind down the existing thin-set, glue, and paint from our floors prior to a new porcelain tile installation. We were sold on the ‘dust free’ claim after watching the online video and getting recommendations from AZHF customers. They did a fantastic job of removing everything from our approximate 2400 SF of flooring over a 1.5 days. Clean as a ‘whistle and no dust’! This demolition turned out to be more impressive than we had anticipated. Thank you for your detailed review of our service and the results we are able to consistently deliver using our specialized DustRam System Equipment Tile Removal Tools. We truly appreciate your feedback and wish you the very best results with the remodel of your beautiful home! I would highly recommend Jack King and AZ Home Floors to anyone looking for the utmost professional and trustworthy flooring removal company. The entire process was truly seamless and painless (from the initial call to their office requesting info to the finished project dealing with their most capable staff). Not only were they punctual but their constant follow-up was incredible! My house was left dust-free, as promised, for a very fair price. I would definitely request their services again, if needed, in the future. Thank you, Jack and AZ Home Floors, for being such a top-notch company! We greatly appreciated the opportunity to be of service to you in your flooring remodel. We sincerely thank you for your wonderful review of our company, staff and the DustRam System of Tile removal equipment which allows us to provide a truly Dust Free removal experience. Please call us again if we can help you with any future projects! This company did an outstanding job of removing 1500 sq feet of tile–and no dust!!! I would highly recommend using this company in the future. The tile removing crew, the bidding of the job and the followup was superb. Thank you for your review! We appreciate your comment and to know another Client received a truly Dust Free Ceramic tile removal as only AZ Home Floors can deliver with the DustRam System Equipment of tile removal tools. Best wishes with the completion of your remodel and please contact us if we can be of any future assistance to you or someone you know. This company is great to deal with. Their crew was on time and very professional. The process was much easier than I expected and yes, dustless! It was worth the premium price vs the conventional tile removal process. Thank you so much for your positive review of our company, staff and the value provided by our service. It was certainly a pleasure to assist you with your remodel project using our DustRam System Equipment tile removal tools and processes that produce Dust Free results every time. We hope your project makes your home even more beautiful! We needed Tile removed right away and Arizona Home Floors came through with flying colors. The whole process went very well. They say it is dust free and it’s true! Their crew is conscientious and gets the job done right. Right down to the cement with no dust in the rest of the house! Thanks Renee and the crew for a job well done. We will recommend Arizona Home Floors to friends and family. Thank you for your wonderful review and the opportunity to assist you with your project. We appreciate your recognition of both our staff and the DustRam System Equipment. Our Dust Free results are delivered on every tile removal project we do and it is always a pleasure to help our clients with their remodel! These people did everything they said they would do,at the time they said they would do it, for the price they said they would charge. OUTSTANDING experience. Thank you for allowing us to be of service to you in your flooring remodel project. Our company strives to deliver all that we promise on every project so every customer receives the highest quality and value of our Dust Free DustRam System equipment and services. Best wishes on your new house becoming your new home! By Joe & Barbara H.
We truly appreciate your review of our company, staff, and dust free tile removal results! It is our pleasure to make the most dirty and difficult part of a floor removal project a pleasant and positive experience for our valued clients. The DustRam System Equipment ensures your home, belongings and family’s health are protected and your home is clean! I contacted the firm on a Wednesday, got a quote, good information about the process, and was scheduled and completed in less than two days. The price was fair and adhered too, the staff was great, and I’m very satisfied with the work. Thank you for taking the time to review our Company, Staff, and Dust Free Tile Removal process. We were happy to assist you as quickly as we could and to be part of your remodel project. Great service that is truly dust free removal of our travertine floor. I highly recommend them. The entire experience from the first time I called to completion was a pleasure. Thank you for the opportunity to assist you with your Kitchen tile removal. We appreciate your recognition of our staff, results and the DustRam System of Dust Free Tile Removal Equipment. I am very impressed with the professionalism and the quality of work completed for the tear out of my 15 year old ceramic tile. What I anticipated to be a very messy project turned out to be a fantastic experience and dust free too~what a relief!! I am beyond thrilled with the nice staff, the high level of quality work, and Jack’s knowledge! As a realtor, I will definitely now refer all of my clients looking for tile demolition to AZ Home Floors!! Thank you for your review and compliments! It was our pleasure to be able to assist with your remodel using the DustRam System Equipment dust free tile removal tools and our highly trained staff. We recognize that many homeowners wait years to remove their ugly, old tile, or choose not to do it at all, because of the fear of dust in their homes. Dust Free Tile Removal really does exist! We appreciate your referrals of anyone we can help beautify a new house and make it their home. Please call us if we can assist you with any other flooring removal project. Very professional service. Performed services as stated in an efficient and timely manner. Very easy company to work with. It was our pleasure to be of service to you and part of your remodeling project. Our DustRam System Equipment delivers dust free results every time. Please let us know if we can be of assistance to you in the future! The Dust Free process they advertise to remove old tile is exactly as stated in on their website and follows the process they show in their video. I spoke to their competitors while as was trying to decide on a direction and they were the most knowledgeable and convincing they knew what they are talking about. The work was done in a timely and very professional manner and the guys they send to perform the work were also very knowledgeable and polite so overall it was a great experience. We truly appreciated having the opportunity to assist you with your remodel project and thank you for the recognition of our DustRam System Equipment, specialized processes, exceptional staff and the dust free tile removal results we deliver. We are the only company in the Phoenix area with the DustRam equipment that achieves 100% dust free results every time. Any company claiming to be offer “Virtual” or “98%” dust free will leave dust behind. Absolutely fabulous job. They arrived on time, were personable and seemed to enjoy their jobs, removed 1500 sq feet of mostly porcelain tile in less than eight hours time – and left my home cleaner than when they started. The noise level was reasonable enough that we were able to stay upstairs for portions of the day – my teenage son slept through much of it. I highly recommend them – and our family believes it was worth the added cost to not have to deal with the dust. This was the best companies I have ever had the pleasure to work with. They were extremely professional. Rene, the person I spoke to on the phone to set up the schedule was friendly, and thoroughly explained the procedure and what to expect. She told me what time to expect them, and they arrived right on time. There was no dust at all, and when they were finished they cleaned everything up and my kitchen (which is the room where they worked) was absolutely spotless. Probably cleaner then when they started. I would recommend them to anyone who needs to have their tiles lifted with absolutely no dust and mess. If I start to remodel any other rooms in my house, I would not call any other company but Arizona Home Floors. Thank you for your review and the opportunity to be part of your remodel process! We appreciate your recognition of our team’s efforts in your tile removal project and the amazing results our DustRam System tile removal tools can achieve in consistent and repeatable Dust Free results. We hope your kitchen remodel is exceptionally beautiful. I am so glad we used Arizona Home Floors to remove our tile. The workers were great. The job was done quickly and completely dust free. We had more dust when the new tile was installed than when the old was removed. Rene at the office was very helpful and friendly. Great company! Thank you for allowing Arizona Home Floors to assist you with with your flooring remodel project. We appreciate your recognition of our staff, service and the Dust Free results the DustRam System equipment tile removal tools produce every time. Please let us know if we can be of service to you or anyone you know in the future! My experience with Arizona Home Floors was outstanding! Great office staff with professional answers and good information prior to the actual service. The team arrived on the day of service, five minutes early, came in and introduced themselves with a handshake, and then got started. The final result was perfect, and completely dust free! A friend who is a home interior designer came over because she did not believe it was possible, and not only was she impressed with the lack of dust, she thought the bare floors were left better than she has ever seen after tile removal. This was one of the best service experiences of our home renovation. Strongly recommend. Thank you for your review and for the opportunity to provide you with a Dust Free Tile removal. We appreciate your recognition of our staff and the results our amazing DustRam System equipment tile removal tools delivers on every removal we do. Please let us know if we can be of service to your family, friends or co-workers! Service oriented and professional. Did the work on time and within quoted price. Owner was knowledgeable and staff was professional and experienced. No dust left behind. Great Job! Thank you for your kind review! It was our pleasure to be part of your remodel project. The DustRam System Equipment for Dust Free Tile removal ensures a truly clean tile removal with no dust left behind. The extra effort our staff provides to make this the best flooring removal experience possible is because we care about each and every client and their home. This company is great! We are so excited about getting our house remodeled and they removed our old tile and our floor is ready for a tile layer to come in and get the job done. We have to do our house in two phases and I can’t wait for them to do the other half. 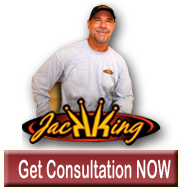 Jack the owner is very personable and very clear on what you need to do to get the job done. Renee the secretary helps you fully understand the preparation again the night before so it goes smoothly for the appointment. Again can not say enough about this company! Thank you Arizona Home Floors! We appreciate your taking the time to submit a review on the Dust Free tile removal we performed using the DustRam System equipment. It is our pleasure to be part of your remodel and we too look forward to Phase 2. Our tile removal tools are unique and the process ensures a clean home ready for new flooring installation. Please thank your wonderful Mother for the referral to us and let us know when we can come back to finish your tile removal project. We used Arizona Home Floors – “Jack King” to have Saltillo tiles removed for our private home remodel. From the first meeting on the site with Jack and dealing with Renee who runs the show in the office, things were just running like clock work. The crew showed up as scheduled in time shortly before 7am, very well organized, tiles including mortar got removed and packed into small plastic containers before transported to the truck . Around lunchtime most of the tiles were gone and the dust free grinding process of the concrete floor was well underway. When I arrived around 3 pm the crew had grinded almost the complete 850 SF and when I came at 5 pm, the place was left in impeccable condition, looking like untouched. Jack King with his crew exceeded our expectation and I will certainly hire Arizona Home Floor for any similar project in the future! Thank you for your review and for allowing us to be part of your remodel project. The DustRam System is comprised of amazing tile removal tools that allow us to perform Dust Free Tile removal, even Saltillo, more quickly and guaranteed Dust Free! We appreciate your recognition of our highly trained crew and the results. Please do call us if you ever need us again in the future! From the time I made the initial contact to the time they left our driveway, this could not have been a better experience. Rene in the office is very professional and knowledgable and very organized with all the paperwork. Jack came out to give me an estimate and he spent a great deal of time, not only measuring but giving me advice on tile. The day of the demo arrived and the crew arrived promptly on time and went to work. They were very careful to protect any exposed wood in our home. Maryanne answered any questions that came up. The crew was very professional and worked tirelessly and the end results were phenomenal. There was NO DUST and they left our home cleaner than when they arrived. The floors were so clean and smooth. Jack arrived at the end of the day to check that every detail had been addressed. AZ Home Floors exceeded our expectations and we would recommend them to anyone who has any flooring to demo. Our tile installer arrived and was so pleased to see a floor that was truly ready for an install. In this day and age when there seems to be a lack of good customer service, it was such a pleasure to do business with AZ Home Floors. We truly enjoyed working with you as well on your remodel project! Knowing you have seen and heard about the horrors of traditional dusty tile removal, we were excited to show you the DustRam System Equipment and the Dust Free Tile Removal results it delivers every time! Thank you for your review and our best wishes on a beautiful new floor in your home! Arrived on time. Removed 270 sq. feet of tile and adhesive. Cleaned up and left in less than 3 hours. Thank you for your review and the opportunity to be part of your remodel project. Our Dust Free Tile Removal using the DustRam System Equipment is significantly faster due to the technology and skilled workmen we utilize to achieve dust free results. From the office staff Rene to the tile removers. Everyone was very professional. Showed up when they said they would and the job was done to our satisfaction. It was Dust Free and our home was left very clean when they left. We would recommend Arizona Home Floors for tile removal. Could not have asked for a better job. Thank you. Great job and what a great crew- they did exactly what they said they would do- they removed all the tile and left my house cleaner than when they started! It’s worth the extra $ for literally no dust. Thank you for your positive review and appreciation of the the Dust Free Tile Removal our crew performed in your lovely home. The DustRam equipment delivers consistent results every time and we strive to make our part of your remodel experience a pleasant one. I had 300 SQFT of tile removed from my kitchen by Arizona Home Floors and am very pleased with the experience. The crew was on time (actually 20 minutes early), and they were very polite and professional. The whole process was dust free as advertised and by the time the crew left, my kitchen was cleaner than when they started. I would highly recommend them. Thank you for your review and recognition of our crew and service! Dust Free Tile Removal is real and we were so pleased to have the opportunity to assist you with your kitchen remodel. The entire process, as well as the staff and crew members, were very professional. I would very highly recommend AZ Home Floors. Thank you for your recommendation! It was our pleasure to assist you with your remodel project in providing Dust Free Tile Removal and profiling of your concrete floors for the installation of your new flooring. Our staff sincerely appreciates your recognition of our customer dedicated service. INCREDIBLE!!! We just had 3400 sq ft of wood look porcelain tile torn out 100% DUST FREE this past week (5-14-2015 – 5-16-2015). THIS IS REAL AND THEY DELIVER WHAT THEY SAY! We have a brand new home that had 2 different shades that were installed throughout and the only way to remedy this was to have ALL of our floors torn out. I went into a panic dreading the thought of having to tear out all our brand new floors. Thank God I came across Jack King with Arizona Home Floors since I could not imagine what all the dust could do to me health wise not to mention all my new appliances sucking into the motors and components and my new white shaker cabinets throughout and glass crystal fixtures! From the courteous first call back from Rene (she called me back on a Saturday when the office was closed since she said she heard in my voice a sense of urgency and desperation) to Jack personally meeting us at our home to give a quote to the courteous and professional crew that showed up on time and completed the job exactly when they said they would. I also cringed at the thought of the damage that could result around my new cabinets, walls, appliances and fixtures. Jack assured me that this is what they do and to not worry about any damage. Jack was right. NO DAMAGE! NO DUST! And my floors are now smoother and better prepared for the new tile to be installed. My home was cleaner when they finished than when they started the job. I am so impressed with this company and being that I am a Real Estate agent I am going to recommend them to all my clients and anyone else that might need this service. Thank you so much Arizona Home Floors! You are truly a God send. Hi Maureen, we appreciate your feedback and positive experience with our company using our patented DustRam® System dust free tile removal process. It was truly our pleasure in removing your 3400 sq. ft. of mismatched 36″ porcelain plank tile the builder had unfortunately installed. We appreciate your sharing the amazing results the DustRam® System Equipment was able to provide in keeping your beautiful home safe and dust free! Twelve years ago we had our tile floor removed and we were cleaning the mess for months thereafter. This time around we employed Arizona Home Floors with their patented Dust Free tile removal process and we couldn’t be happier with the results. They arrived in Tucson (from Phoenix) on time and were extremely courteous and professional. Granted, their services may be more expensive than the traditional method of removing tile flooring but they are most definitely worth it. We appreciate your feedback and positive experience with our company! The amazing results the DustRam System Equipment enables us to achieve in making every tile removal project Dust Free! Best wishes on the flooring install in your lovely home! May 2015 Met Jack at Home and Garden Show. I checked out the website. And talked to Rene about their services. Also spoke with several tile people, who told me there was no such thing as dustless tile removal, the only way was the old fashion way. Jackhammering tile up. Since my wife is asthmatic, we never would have taken out the old tile that way. Still Somewhat Skeptical, I contacted AZ Home Floors and set a date. Rene, very pleasant and had all the information, said they’d be there at 7am. By my watch they arrived at 7:02, but then it’s an old watch! We had removed all of our precious breakables as Rene instructed. Met with Jack, he went over every step, they moved the heavier furniture and began. Still skeptical, he said the air quality would be no different during the process than it was before they started. And it was! I viewed the whole carpet and tile take up. His crew was efficient, careful, worked quickly, and as promised dust free. After all debris was removed the whole crew, to be sure, wiped down all flat surfaces, baseboards, counters, window ledges and doors, etc. vacuumed all floors now concrete and ready for new flooring. I’m sure that any dust they got at that time was there prior to starting. Well worth the cost and saved us from any breathing problems. Time for our job start to finish, four and half hours. Carpet, tile removal, floor profiling and debris removal. Crew was courteous, careful and quick. If you’re having tile removed, call Rene and Jack. Get it done right. This company is fantastic. 1st, they quoted three days for the job and finished in 1-1/2 days. They are truly dust free! We could find no dust. Don’t worry about this company making dust in fact, the tile install company we chose made more dust than than Arizona Home Floors! What a great experience working with AZ Home Floors. The crew was on time, courteous, and left my house clean and dust free. We had 860 sq. feet of tile removed in just under 4.5 hrs. Rene (manager in the office) was great to work with and made the experience easy and seamless. My wife and I would definitely recommend AZ Home Floors to anybody looking to have tile removed. In a word, simply outstanding. Tile removal is a messy and difficult job. These people arrive on time in matching company t-shirts no less, they have the specialized equipment and expertise to do the job right, the crew is 100% professional, and they leave your floors completely clean and your house spotless or,more accurately, dustless. These people are perfectionists which is often difficult to find in the construction trades. I rate them a 10+. This is an excellent company to do business with. Very professional & true to their claim the tile removal was “dust free”. This is the only way to have tile removed! Totally credible company – they performed exactly as advertised. Ceramic removal was efficient, dust-free and performed in an exceptional professional manner. We would definitely recommend their services. I am absolutely impressed with the job that Arizona Home Floors did. They were reasonable and flexible with my schedule. They were able to come out immediately to give me an on-site quote. They are clear about what needs to be done, and they are also realistic. They tell you exactly what to expect. I had to wait a few months to get the money together for the job. Rene (their contact person) was fabulous. She sent me periodic emails of available dates for when I was ready. Finally, their work is very clean. We had approximately 650 square feet to remove and they were done in 2 days. Upon leaving, you couldn’t tell anything had been done to the house, aside from the old tile was gone. When they guarantee NO DUST, they make good on that guarantee. There wasn’t a drop of dust ANYWHERE. You have to see it to believe it. My parents are going to have them come out and do a job on their hous. AZ HOME FLOORS and Jack King are FABULOUS! Outstanding job and extremely polite crew. Cleaned up after themselves. Very trustworthy…so much that I left them to lockup my house due to needing to go to work. House was left in perfect shape. By OJ & Fiore L.
We are in the grueling process if remodeling. I never knew how difficult, and messy it was to remove tile. We removed about 100 sq feet on our own with the help of a friend.. That was about 2 months ago and I am still removing dust! I knew there was no way we could remove the remaining 400 sq feet without a huge mess. Then, after much googling and research I found Arizona Home Floors! They removed the remaining tile in just a few hours, no dust, very professional and affordable! I would strongly recommend having them remove your flooring. Not only will it save your home and your belongings from that horrible dust, but you can kick back and save your energy for other DIY projects around the house! We cannot say enough about AZ Home Floors. We had some remodeling done in our home. Friends warned us that the worst part would be the tearing out of about 1100 square feet of ceramic tile, with more dust than we could imagine. As it turned out, the tearing out of the old tile was the least stressful, best experience of the entire remodel. One of the other vendors would not schedule their work when we requested because they did not believe AZ Home Floors crew could finish in the amount of time they promised. Well, AZ Home Floors did EVERYTHING as they had promised and were finished earlier than expected! It was dust-free, and you would not have known that they had been here, except for the fact that we had clean concrete floors. We’d also like to say that Rene, from AZ Home Floors office, is extremely knowledgeable and especially patient. Jack measured everything exactly, and he and all of his employees were professional, polite, and efficient. I couldn’t be more pleased with their service. The gentlemen that were here were professional and very helpful. I would highly recommend their service to anyone. It’s so nice to know there are still customer-service companies out there. It really is dust free ! Start to finish, this company was a dream to deal with. I would have never tackled putting wood floors in the home I’ve lived in for 13 years without the guarantee that this company offers. They were on time, they were respectful of our home and they finished the job beautifully earlier than expected. We are happy to share our very positive experience with Arizona Home Floors. They are very professional, they arrived on time, completed the tile removal as promised and best of all left no dust behind. I can highly recommend them. This service was quick and yes – pretty dust free! They were efficient and I would highly recommend this service to my own real estate clients as well as friends and family. Thank you for your stupendous service and help in my remodeling process. Your claim of “DUSTLESS” truly is the correct description of your process and the clean-up by the crew was outstanding. We found AZ Home Floors by searching for “dust free”, “clean” tile removal. After detailed discussions with the company about its process and a few phone calls with past customers, we decided to schedule a job in Tucson. This is a top notch company with an excellent business process and customer service attitude. They are prompt, punctual, and very well organized. The process and equipment are clever. The key is dust and debris containment through a set of powerful vacuums and attachments to the tools. The crew was superb, efficient, courteous and focused on the job. The outcome far exceeded expectations. Well worth the cost and the trip charge to Tucson. I would use them again in a flash. I had heard that there was no such thing as dust free tile removal. This company proves that wrong! The quoting process involved full measurement and was very accurate. The office was responsive and helpful. The team showed up 10 minutes early every day they were scheduled. They finished on time. Every person in my home introduced him/her self, was friendly and hard-working. You don’t want to be there when they’re working (it’s loud), but they did an exceptional job. My home is as clean, if not cleaner, than before they started. Hands down, one of the most professional companies we’ve ever worked with. I honestly don’t know how their price compares with others, but felt it was worth it to avoid the horror stories we had heard about tile removal. Very highly recommend! Arizona Home Floors did an amazing job of removing 750 sf of tile WITHOUT ANY DUST!! The team arrived promptly, were professional, and had the work done in less than a day. The foundation was cleaned and polished. The debris was removed and the house was left clean and neat. I was skeptical when AZ Home Floors guaranteed dust free tile removal but when the work was done – they delivered. No dust – it was awesome. This was a very, very happy experience. Fantastic Company. They did exactly what they said they would do. Remove all the tile keeping a dust free environment. My wife still can’t believe it. They left the house as clean if not cleaner than when they started. I had Arizona Home Floors grind the concrete in two bedrooms. I have to say I wasn’t sure what to expect, but was pleasantly surprised. Rene was so helpful and gracious on the phone setting the appointment. The workers showed up on time and were very pleasant and did an excellent job. I would definitely recommend this company to friends and family. This is the ONLY way to go for taking tile up. Jack and his crew are extremely courteous, punctual, efficient. When he says Dust Free, it is truly dust free. I had no mess to clean up. These guys are very hard workers and aim to please. Absolutely no problems here. This was worth every penny to have him do this job. The Dust Ram is the ONLY healthy alternative to take tile up! I just had 900 SF of tile removed by Arizona Home Floors and it had to be seen to be believed. Not a speck of dust anywhere. Their system for removing tile is so innovative and clever. The crew arrived exactly on time and got straight to work. The clean-up was spotless and I couldn’t have been happier. Thank you Arizona Home Floors! Excellent work, worth every penny spent. If you need tiles removed, this is the only way and company you want to do it. No dust, no fuss, prepped perfectly for your new tile. Very nice and courteous as well. Thank you for a job well done. Your entire staff was very professional and efficient and I would highly recommend your services. As far as dust-free goes, I would have to say that your claims are right on the mark. Thanks again! I could not have been happier with Arizona Home Floors and the job they did removing tile and vinyl from my home. Jack and his crew were very professional and meticulous. The finished job was much better than I had even envisioned. As advertised, there was virtually no dust even though nothing in my home was covered. What little there was they cleaned up, even washing the bathroom floor adjacent to the hall way. I would have no hesitation recommending Arizona Home Floors to anyone needing tile or other flooring removed. A good value for a great job. I had 450 feet of porcelain tile I wanted to have removed. This included a hallway an entry hall and the family room. In addition I had 5 tiles in an existing dining room floor that I wanted removed without damaging the adjoining tiles. I was not initially considering doing it due to the dust typically generated by this process. I contacted them several weeks ago and was given an estimate over the phone based on the information I supplied. They arrived early Saturday morning. The entire process took about 4 hours. It included removal of the tile and the removal of the thin set from the floor. The concrete floors now look like they never had anything on them. The way they contain the dust, the system they use for power distribution and the equipment they have developed are all part of their process. I have removed small areas of tile and the dust this generates is unbelievable. They were able to remove the tile floors in the center of my home with no dust contaminating anything. They were professional, friendly and through. The final price was very close to the estimate. I am extremely pleased with the service and would recommend them to anyone that is contemplating tile floor removal. After watching my neighbor endure a hammer and chisel removal of his Saltillo tile, I decided to go the dust-free route. Arizona Home Floors runs a top-drawer business. Their staff was courteous, meticulous; they completed my home in half the projected time and left the place cleaner than they found it. The things they found behind the refrigerator should be in the Smithsonian. My sincere thanks! AWESOME EXPERIENCE!! Professional, came out same day for a quote, my house was cleaner when they left (prior to starting the job), and would highly recommend this company! My husband and I got several tile quote jobs (to remove tile), this one was high compared to others. But at the end of the day, we would rather have the job done right and pay a little extra money than to not be satisfied!! The crew showed up on time much to the delight of my wife. They had the job done within 3 hours. Very pleased with the results. What took them 3 hours to do would have taken me and my wife at least 3 days! Well worth the money. Arizona Home Floors arrived 10 minutes early for a 7:00 am appointment(which is not the norm). The technicians did a GREAT job! Best off all NO DUST!!!! Arizona Home Floors delivered as promised. The tile and mortar were removed without dust as advertised. The floor was left clean and debris free. Excellent job. We used Arizona Home Floors 2 years ago and were so impressed that when we decided to move we knew the only people that we would trust to remove the tile in our new home would be Jack and his team. They did an amazing job! My husband and I used Arizona Home Floors to remove the ceramic tile in our house before the installation of new hardwood floors. We had put this project off for several years after hearing the horror stories of what a dusty mess tile removal can be. But, Arizona Home Floors did an incredible job! They are a professional, well-run company — from Jack King, the owner, to Rene in the office, to Marty and his crew who performed the actual work and stayed on the job (for 12 hours!) until it was done, while taking care to make sure we were completely satisfied. We couldn’t be more pleased with the results and our experience. I am very pleased with the service and work performed. There was virtually no dust during the tile removal, and the job was completed in about 6 hours for approximately 500 sf. The house was left very clean after the job. Arizona Home Floors was extremely professional and timely from beginning to end. When I first called and talked to Rene to check pricing, etc., I was impressed by her friendly and helpful approach. When I called again a few weeks later, after making a new flooring decision, Rene confirmed my first impression. We set an appointment for Jack to come out and measure and give me an estimate. They were very professional and kept in excellent communication throughout the process. Jack was thorough, organized, and efficient. Rene, again, was on top of things with telephone reminders and offers of any assistance. The workmen were communicative, extremely friendly and professional! And the service was truly dust-free!! This company was outstanding in every way. I would recommend to everyone with no hesitation. Arizona Home Floors brought a full crew and worked all day at my home pulling the tile in multiple rooms leaving very clean smooth concrete floors. Removing all that tile would have been a back breaking job that would have created an unbelievable mess that would have taken days to complete and clean. Thank you AHF for doing a great job! I was also very impressed with how they took special care to generate as little dust as possible and how effective their DustRam “dust free” system worked. I would work with AHF again anytime! Excellent. Left the home dust free as promised. Customer service is a must for me and is so hard to find these days. I friend recommended Arizona Home Floors after we struggled trying to remove the old flooring in my home. I called Arizona Home Floors and they did a wonderful job. The responded promptly and their work was top notch. They went above and beyond when finished even vacuuming areas they didn’t even work on. One of the best companies I have ever used. I would grade them A++++. My existing flooring was removed in preparation for new tile. We had an area where the latex thin set from previous tile was attached to the concrete slab and grinding was required. I was very concerned about the dust that would result. I called Arizona Home Floors and within a couple days they had technicians in our home who removed the thinset within an hour or two. I can honestly say there was less dust in the home after they left than there was before. I highly recommend Arizona Home Floors and their DustRam system. This was an excellent experience and the job done could not have been better. This company saved my day and I would recommend to all. The company and all workers were also very professional. I have done tile removal myself and know how much of a dusty mess it can be. The DustRam system used by Arizona Home Floors is a superior method that is efficient and, most importantly, dust free. I was very impressed that we were able to leave clothes hanging in a closet in which tile was removed from the floor and the clothes were not dusty after. Arizona Home Floors removed around 1800 square feet of tile over two days in our home and the end result was that we had a clean home and the floor was very well prepared for new tile installation. Jack King, the DustRam system, and the team of workers from Arizona Home Floors are an outstanding blend of quality workmanship and professionalism. If maintaining a clean, dust free home is important to you, do yourself a big favor and hire Jack King at Arizona Home Floors for all of your tile removal needs. Amazing what this equipment can do in 15 minutes. It took me 8 hours to do about the same amount of square feet using a chisel and a hammer, that the DustRam did in that 15 minutes. As well, I struggled to remove old vinyl from the kitchen floor. The two combined jobs took me all day and I removed a very small amount of square footage in that time. I can only guess that it may have taken me several weeks to complete this job and it was completed by az home floors in 4 to 5 hours. I would not have been able to complete this job as my back and hands were incredibly sore at the end of my one day of work. Complaining to my wife caused her to feel sorry for me and luckily for me she googled and found this company owned by Jack King. A very pleasant and likeable person to talk to on the phone was he . And so we proceeded to use his company. His employees were also a real joy and they did an excellent job utilizing the equipment invented by Jack King to make our concrete floors look like they were just poured. If you are reading this review prior to making a decision as to whether or not to attempt to remove your tile or vinyl yourself, I would recommend that you immediately shelf the idea of doing so and pay the money it takes to have it done with this advanced equipment. You won’t be sorry as I was for killing myself for a whole day, wasting that time and getting almost nowhere. I also might mention that I was only able to remove a small amount of tile in that 8 hours and did not even put a dent in the thinset that was holding it down. That was harder to remove then the tile. I took the time to write this review in hopes that it will save others a lot of misery attempting this type of project themselves. It was well worth the money to have this job done by Jack King and his company. A very awesome invention is your equipment, Jack and your phone etiquette and personality sold us on the idea of going forward with you. Thanks again and may you and your company prosper in the future!! For those of you who might be wondering, my wife nor I have never met Jack personally and we received no gratuity for what we have written. We legitimately appreciate these incredible tools that he has invented to do this incredibly miserable job of removing tile and old vinyl. We have been wanting to have our outdated ceramic tile flooring removed for some time, but everyone we talked to that had undertaken this project, told us what a nightmare it was. They said that even though the removal area was sealed off with plastic, the dust was everywhere, including in their A/C ductwork. They were cleaning up for weeks and many had to have their ducts professionally cleaned (more $$). While researching floor removal contractors, we came across AZ Home Floors and Jack King’s DustRam System. It gave us the courage to tackle this project. From the first time Jack King came to our home to give us an estimate, to the completion of the project, my husband I were impressed by his professionalism and thoroughness. He arrived when he said he would; went through those areas where tile was to be removed explaining what needed to be removed (everything on the tile floor and kitchen countertops). The pantry and linen closet shelves did not need to be cleared; nor did anything in the family room or living/dining room!!! He measured the area before giving us his price for the job and went over the contract with us. There was no “hard sell”…he and his system sold themselves. He arrived on “Demolition Day” at 7 a.m. with a crew of 2 men and 2 women. By 2:30 p.m. they had DUSTLESSLY taken our floors to a very smooth concrete. They didn’t drape anything and we were in our home throughout the entire process and there was NO dust in the air. Our home was spotless when they finished. They were organized, efficient, and totally respectful of our property. I would recommend that anybody considering tile removal use Jack King and AZ Home Floors. When you find a contractor of this caliber, it’s like finding gold! We refer to this as our “Tile Removal Miracle”! After watching the DustRam System video on YouTube, I was pretty convinced I’d found the contractor for my tile removal. After speaking with Jack and getting an estimate, I knew I had. The crew accomplished more tile removal in a day than I could have in weeks. And they showed me how much dust they collected – dust that would have been in my house using any other method! I was amazed at the innovative processes they use and highly recommend this contractor. To us it was a miracle. We contracted Jack King with Arizona Home Floors and his Dust Ram System to remove 1,100 sq ft of tile. Jack and his crew of 5 arrived at 7:00AM. Each one knew exactly what to do and when. THERE WAS NO DUST!!! The hoses attached to the chippers and sanders took all the dust out to our back yard and into his equipment. When they finished removing the tile, they cleaned and vacuumed the whole house. Like Jack says “It was cleaner then when he arrived.” We highly recommend this system to anyone considering having their tile removed. There just is no other way. by Jean and Mel E.
I hired Jack to remove ~500 sq. ft. of saltillo tile in my house. He was thoroughly professional from start to finish and did great work. When he came to my house to give an estimate, I was impressed that was able to generate, on the spot, a contract that specifically listed exactly what would be done, listing all of the measurements summing to my total square footage. I am an attorney and I usually wince at the terrible contracts that most contractors use – not so with Jack’s. His contract was complete, handled contingencies, and I could tell from it that he had done this many times before and is the kind of person who prefers to specify details up front and not have misunderstandings later. Jack was able to tell me, when we first met for the estimate, the date on which the work would be done. He uses an e-contract service so I e-signed the contract later that evening and paid my deposit via PayPal. Jack called the day before our appointment to confirm, and on the scheduled date he showed up early and with a plethora of equipment. He and his crew were extremely well-organized and completed my tile removal in a single day, leaving – as he promised – not a speck of dust to be found. My concrete looks amazing and is ready for the new porcelain tile that will be installed. Equally as important, my home did NOT get dirty at all! The best part about the tile removal is that I have nothing else to say – he took the tile out exactly as promised and that’s the way it should be. It was very simple. This is my first home and I’ve dealt with several contractors in the past few months. Jack alone stands out as delivering as promised, on time, in a professional manner. Arizona Home Floors was absolutely fantastic, they were on time, finished as they quoted and at the quoted price, no surprises. The job was beyond what I expected, there was NO DUST, they prepared the floor for the flooring to be put in just as they said they would. I would highly recommend Jack King and Arizona Home Floors for tile removal and floor prep. Thanks Jack and crew its nice to see there is still a company out there like yours. AZ home floors, came into our home and removed 560 sq ft of tile. it took 3 men, 7 hours to do the job and when they left our home was as clean as when they arrived. we did clean the house the day before, so they did a great job. i would recommend this company to anyone that wants tile removed without the tremendous amount of dust involved. Jack King and his crew were extremely professional. Not only did they work hard and fast, they were friendly and fun to be around. Their Ram Dust System truly works as advertised both during the tear off and grinding process. I expected some dust but found none. I would not hesitate to recommend Arizona Home Floors. We had serious health and damage concerns concerning the removal of Saltillo tile from our entrance and dining areas. Arizona Home Floors, Jack King, gave us a detailed cost estimate and assured us that there would be no tile dust anywhere in the house. His crew came on time and did a very professional job as Jack had promised. We were extremely pleased not only with the work but more importantly with the lack of tile dust pollution during the process; and after. Nothing in our house got dirty! It costs more, but it’s well worth it. Tile removal, grinding and leveling floors can lead to stress, misery and a dusty mess. Luckily there are choices. CHOOSE WISELY and feel secure. Jack, Marty and crew will relieve the stress and misery of this dusty messy process. Presto! Tile was up and gone before my eyes. I watched, with ear protection, from eight feet away as his powerful dust sucking machines broke up tile. I could see no dust in the air. 674 feet of tile and thin set was gone in less than a day. You have to see it to believe it. Before they left for the day the crew cleaned all surface areas, even my shutters. I have yet to find even a chip of tile. Next came the grinding and leveling procedure. Again no dust! Jack’s huge investment in exceptional equipment and his expertise in his profession created a perfectly finished product. My floor installer is so excited to lay wood laminate on a truly flat floor. Jack is extremely passionate and proud of his business. I know a good foundation in just about anything is important and my foundation is remarkable. I would like to give Jack, Marty and crew a heartfelt thank you for making this part of our remodeling a truly pleasurable experience. From the first time we spoke on the phone, until our complicated project was finished, we felt completely at ease that you had everything under control. Your attention to detail, balancing function with aesthetics, and your willingness to take charge of every aspect of the process, made what would have been an overwhelming task a breeze. Although the fact that our job was in Flagstaff must have been a challenge, you and your crew took it in stride. I have never met a more organized, meticulous human being, and the end result reflects your work ethic. You and your crew put a lot of thought and creativity into the visual impact of each phase of our job: Wood, Tile, and Carpeting. The guys were not merely talented; they were personable, conscientious and fun! Every time I approach the stairs in the great room, and marvel at the layout of the wood, I’m reminded of how hard Edwin worked in designing that area for the perfect impact. Everything you did in our house is actually better than I’d dared to hope. I hope I get the chance to recommend you to many prospective customers. I consider finding you to be a stroke of luck and an invaluable investment in my peace of mind. Thank you for a job well done! On time, courteous, professional & fun to have here for 2 weeks. In the 10 years we’ve lived in Phoenix this is the first time we’ve had a company show up on time everyday-complete the work in the promised time frame, and give such great customer service. Thanks, Jack & Crew! Jack was great to work with. He was very thorough and professional. He did a quality install and took his time to make the finished product look perfect. The job site was always maintained and the final cleanup was great. He was friendly, experienced, and worth the money! The guys were great and the job they did was excellent. They were very punctual, they always left the job site as clean as possible, and when they said something would happen it did. If we had an unforeseen problem it was thoroughly explained, options presented, and the problem was solved to everyone’s satisfaction. Now that the tile work in both my business and home are done, I would like to take this opportunity to let you know just how thrilled I am with the great work and quality customer service that I received. From the estimate right through the creative consultation, planning process and the exquisite craftsmanship, the whole experience went smoothly and quickly. Your customer service was far beyond any expectations that I had, and my floors will be a source of pride for years to come. I would without hesitation, refer anyone I know to Jack King.